The Second Department of the Appellate Division of the New York Supreme Court (Richmond, Kings, Queens, Nassau, Suffolk, Westchester, Dutchess, Orange, Rockland & Putnam Counties) has recently upheld a decision awarding $875,000 to a worker who was injured on the job at an auto repair shop. 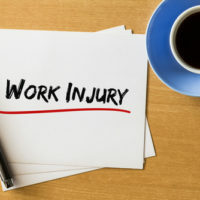 The employer and property owners had appealed the jury award of damages, claiming that they lacked responsibility for those injuries, but the court disagreed and upheld the award. The case in question, titled Hernandez v. Pappco Holding Co., centered around an incident occurring at a Gulf Auto Repair shop in South Ozone Park. The injury victim, Eladio Hernandez, was hired for a day of work leveling driveways and lanes for the gas pumps at the station. Hernandez had been instructed to move a tall pile of dirt by shoveling it, which he did while standing in a plastic container which was mounted on a forklift. One of the gas station’s employees was moving the forklift and lowering the fork when Hernandez began to fall. He grabbed the fork to steady himself, causing his hand to become caught in the machinery. Hernandez’s hand was crushed, and he suffered permanent injuries that have barred him from returning to construction work. According to a physician who testified at trial, Hernandez now has 31% total disability impairment, though he has been able to return to work doing light painting and cleaning jobs. Hernandez filed a lawsuit against a number of defendants, but trial went forward against the owner of the gas station, as well as the tenant leasing the property on which the gas station and auto repair shop were located. Hernandez claimed that the defendants had been negligent and had violated New York Labor Law § 200, requiring owners and contractors to take reasonable care in making the workplaces under their control safe. A jury sided with Hernandez. They awarded him $200,000 for past pain and suffering and $675,000 in future pain and suffering damages. The defendants appealed. They argued that, since Hernandez was a subcontractor, he was acting independently, and the station owner had no supervisory authority to alter the manner in which the work was performed. However, the Appellate Division disagreed. The court’s opinion stated that jury verdicts may be overturned only where “the jury could not have reached the verdict by any fair interpretation of the evidence.” Since evidence existed to support a conclusion that the defendants were responsible and had the authority to alter the conditions on the job site so that the worker would have been safe, the jury was justified in finding sufficient evidence to hold the defendants responsible for Hernandez’s injuries. If you have been hurt on the job in New York and need help getting the money damages which you’re owed for your injuries and expenses, contact the New York construction accident lawyer Leandros A. Vrionedes for a consultation, with offices conveniently located in Manhattan (212-889-9362) and Astoria (718-777-5895).